Nowadays ale and beer are interchangeable terms but in Britain it was not always so. Ale was made with malted barley, flavoured with herbs and spices but no hops, while beer was a malted barley drink with added hops bestowing a refreshing bitterness consumed in continental Europe. The first record of hopped beer in Blighty was circa 1362 imported from Amsterdam into Great Yarmouth. The earliest mention of beer being brewed in England (from imported hops) was 1412, made by a German alewife in Colchester. Cultivation of hops started around 1520 when humulus lupulus was planted in Kent. 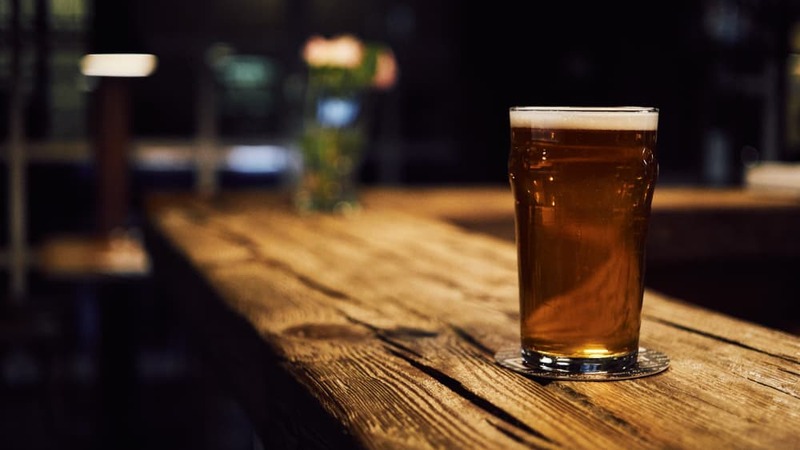 But ale drinking by English men and women was not to be abandoned easily and both ale and beer continued to be brewed and consumed as distinctly different beverages. No-one knows when unhopped ale ceased being popular – possibly the 18th century – in favour of the hopped beer that came to dominate brewing. It is also not clear when hopped beer started to be referred to as ‘ale’. Britain’s (or England as it was before the countries of Scotland and England were legally united in 1707) increasing influence overseas from the 17th century and vast trading network spread the demand for beer and introduced it to parts of the world where it had not previously been. Ships carried beer as a source of drinking water, for daily rations to keep the crew content, as ballast on ships, and as a trading commodity. From the founding of the East India Company in 1600, the first English settlement in Virginia in 1607, Australia’s penal colony in Botany Bay in 1788, to Guyana in 1796 English/British ships carried beer to all hemispheres. More styles of beer first brewed in Britain are now brewed overseas than those of any other brewing nation. These include India Pale Ale, Pale Ale, Porter, Stout, Imperial Russian Stout, Mild, Bitter, Barley Wine, Brown Ale, and Scotch Ale. 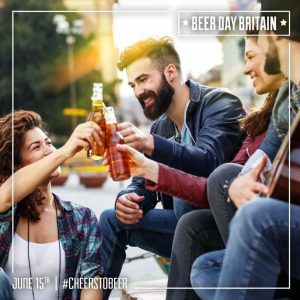 Click below for a guide to beer styles that are recognised as British – first brewed in Britain or most associated with Britain. Beer is the most convivial of all drinks. It has a magical ability to bring people together and bond them. It soothes and makes us happy. It provides us with safe water and soluble nutrition. To quote a phrase attributed to 16th century Swiss Physician Paracelus ‘Cerevisia malorum. divina medicina.’ – A little bit of beer is divine medicine. So let’s celebrate this perfect libation on Beer Day Britain.